Putting a new roof on your home is a big investment, one that you want to last for many years to come. In addition to being a water barrier and controlling vapor and heat flow, the right roof adds beauty, style and a sense of permanence to your structure. It's important to hire the best roof contractors you can find. Even the best quality roofing products fail if not installed correctly. Water will easily find the weakest point in the roof and work its way into your house if the entire roof installation is not properly executed. At Berkeley Exteriors, our roof installers are skilled craftsmen who have been with our company an average of 8 years, not just subcontractors hired for the season. 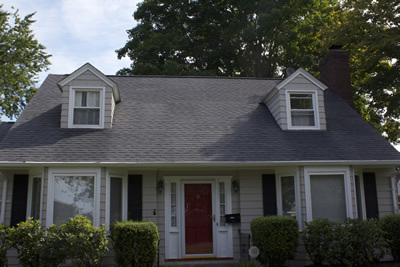 Berkeley Exteriors has been helping Connecticut homeowners secure and beautify their homes with quality roofs since 1992. We are an owner-operated and managed company, not a national chain with local salespeople, and we pride ourselves on the fact that 75 percent of our business comes from referrals. If you're ready to find out how a quality roof can enhance the look and feel of your home as well as keep it secure from the harsh New England weather, give us a call at 203 877-4373 to schedule a free consultation. We look forward to showing you how our roof installers and our products can make a difference to the look and feel of your home.